Showing results by author "Sarah Miller Caldicott"
Thomas Edison created multi-billion dollar industries that still exist today. What many people don't realize is that his innovations were generated through focused approaches to teamwork and collaboration. 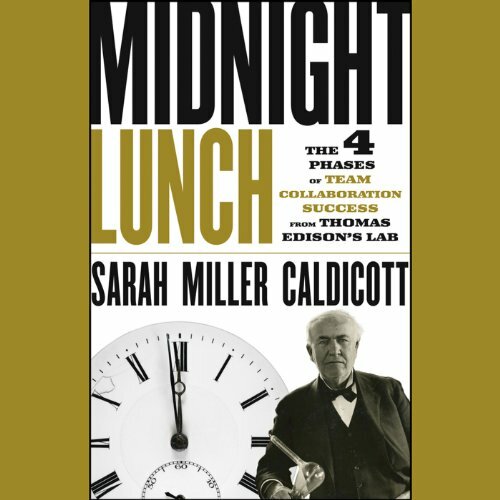 Authored by the great grandniece of Thomas Edison, Midnight Lunch provides an intriguing look at how to use Edison's collaboration methods to strengthen live and virtual teams today. Edison's four phases of collaboration success offer a simple yet powerful way to see how different combinations of live and digital resources can multiply results and deliver outstanding ROI now.